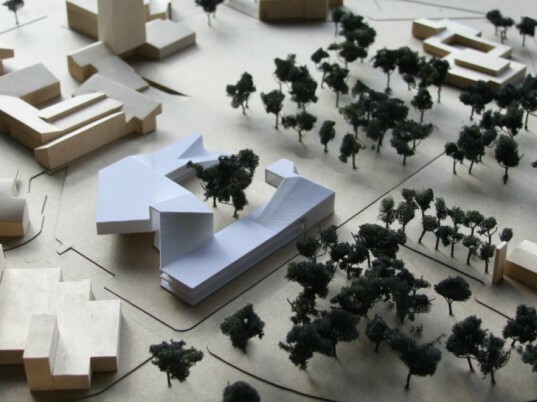 Loving pretty much everything Steven Holl does, we were excited to see the the architect’s preliminary concept designs for the new Doctorate’s Building at the National University of Colombia in Bogotá unveiled earlier this week. Hoping to reinvigorate the center of the campus with this new building, Steven Holl in collaboration with partner, Chris McVoy, and the university’s architecture office, are planning a building that turns inside out to connect with the outdoors. Topped off with solar panels, a green roof and a grey and rainwater recycling system that feeds into a reflecting pool, the Doctorate’s Building is likely to become the heart of the revamped campus green. The university’s original master plan was designed by the architect Leopold Rother in the 1930s and is known as the White City because of its multitude of low, white-painted concrete and masonry structures. Over time, the campus’ inner green has become crowded and the new Doctorate’s Building and surrounding landscape aims to reduce congestion and re-establish the green core. The U-shaped building will contain offices, laboratory space, classrooms, study rooms, a café, a 600-seat auditorium and extensive social spaces such as shaded terraces. Twisting and turning inside out as it travels around the U, the building seeks to connect with the outdoors and opens itself up to enjoy the temperate climate. High performance fiber-reinforced concrete, which a structural engineer on the university’s faculty is developing, will be used to construct the building along with locally sourced wood and Bogotá stone. Natural ventilation will cool the building, which will have neither air-conditioning nor heating. Rainwater will be collected and used along with recycled grey water in a grotto water garden and a reflecting pool. A rooftop solar system will power the pool as well as 15% of the building’s electric demands. There is also an occupiable green roof planned for the building, which is slated to begin construction as early as 2012. 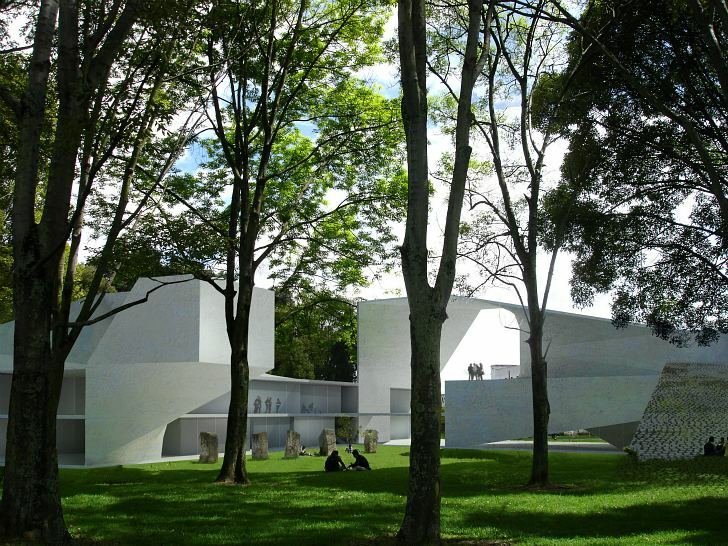 Loving pretty much everything Steven Holl does, we were excited to see the the architect's preliminary concept designs for the new Doctorate's Building at the National University of Colombia in Bogotá unveiled earlier this week. Hoping to reinvigorate the center of the campus with this new building, Steven Holl in collaboration with partner, Chris McVoy, and the university's architecture office, are planning a building that turns inside out to connect with the outdoors. Topped off with solar panels, a green roof and a grey and rainwater recycling system that feeds into a reflecting pool, the Doctorate's Building is likely to become the heart of the revamped campus green.